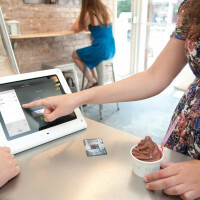 From reservations and dynamically-priced food ordering, to staff training and invoice automation, startups are developing new technologies to help restaurants streamline operations and improve margins. 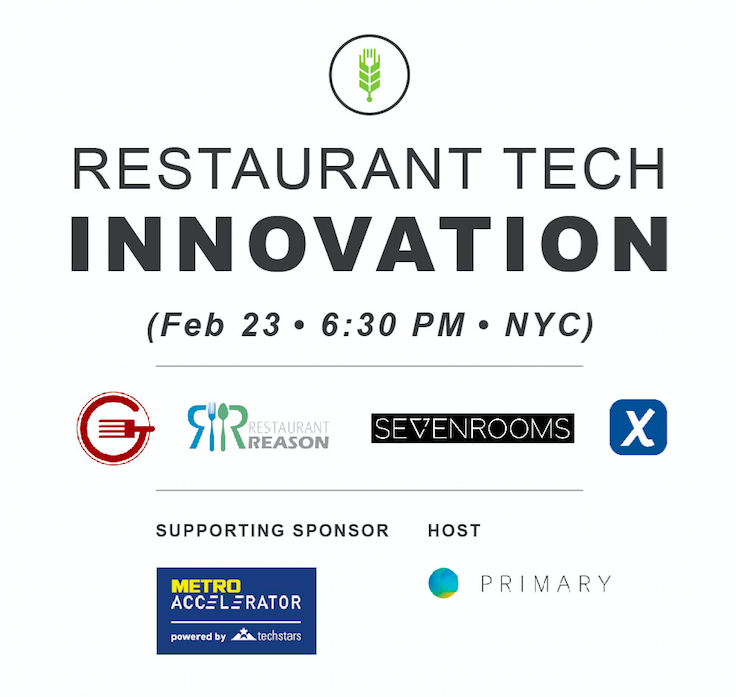 Join us for a deep dive into some these innovations at our February Restaurant Tech Meetup next Thursday, February 23 in NYC. You’ll get an inside look at the business models, products, challenges and lessons learned from five up-and-coming startups. We’ll also have networking with the community and snacks and drinks from Açaí of America, Burlap and Barrel, Silly Chilly Hotsauce and more. RSVP: Snag your spot now! Do you have an innovative food or beverage product you would like to showcase? We have a few openings for food partners to sample products. 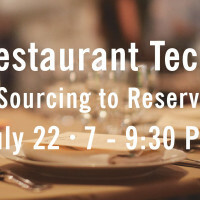 Email nina[at]foodtechconnect[dot]com if you’re interested in any of these opportunities. Joel Montaniel, CEO of SevenRooms – An enterprise technology platform for the dining, nightlife and hotel industry. We offer top operators intelligent front-of-house capabilities, powerful CRM to track and capture guest data, multi-channel inventory targeting and distribution, point-of-sale integration, predictive analytics, revenue optimization tools, marketing capabilities and an open API platform. Every capability places the guest front and center, both online and offline, to make better service easier, build loyalty, streamline operations and increase revenue. Founded in New York in 2011, SevenRooms is present in over 100 cities, serving premier dining, hotel and nightlife operations including LDV Hospitality, Corbin & King, Morgans Hotel Group, sbe, Jumeirah, LiveNation, TAO Strategic Group, Zuma, The Cosmopolitan of Las Vegas and many more. Andy Schwartz, Founder of xtraCHEF – A cloud based software platform that streamlines and automates the invoicing process for restaurants and hotels. xtraCHEF then provides a layer of analytics and dashboards to allow a better understanding of the day to day costs. xtraCHEF is 100% mobile because chefs like to be in the kitchen and not behind a desk. With our product, you simply take a picture of a vendor invoice using your phone (or scan it) and xtraCHEF does the rest: Technology reads the entire invoice, line by line, digitizes, and imports directly into your Accounting or Inventory Management System. Mohamed El Hassen Merzouk, Founder & CEO of Gebni – The stock market app for restaurant takeout. We are the first food ordering software to apply a real time demand-adjusted approach to meal prices ordered online. 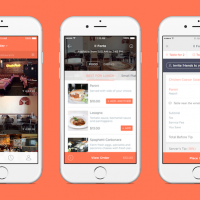 Our app connects users to local restaurants offering dynamically-priced meals for pickup or delivery to save them money and make sure they always pay the best available prices. Gebni has officially launched 2 months ago and counts more than 160+ restaurants on its network covering half Manhattan. Brandon Barton, Head of Ops / Sales at Resy -A complete restaurant reservations and waitlist system. We offer cutting edge software, fair pricing and 24/7/365 customer service. ResyOS, our restaurant facing app, includes table management, ticketing, web booking, CRM, mobile app, POS integration and more. Dana A. Koteen, Managing Partner of Restaurant Reason – An intuitive system specifically designed to address the hospitality industry’s to quickly and effectively train their staff. Operators can easily create and deliver effective, high-quality training to their staff to increase sales and enhance the guest experience. The tools are simple enough for a newly minted line-level manager to use while also being robust enough to manage larger companies with multiple units and/or concepts. The METRO Accelerator for Retail powered by Techstars is a global mentorship program that fast-tracks startup solutions disrupting the retail experience through technology innovation. Applications are now open – apply today. Primary is the workplace for entrepreneurs who appreciate the perks afforded by shared office space with a community built around personal and professional mindfulness. Named one of the top co-working spaces in the world by Inc. Magazine, Primary offers a robust menu of amenities: on-site fitness + yoga studio with shower facilities; practitioners offering massage therapy, facials, and more; a full-service espresso bar; a nap room; and a diverse, thriving community. 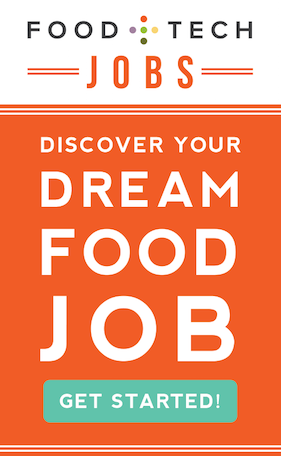 Get a free work day by mentioning the Food+Tech Meetup.